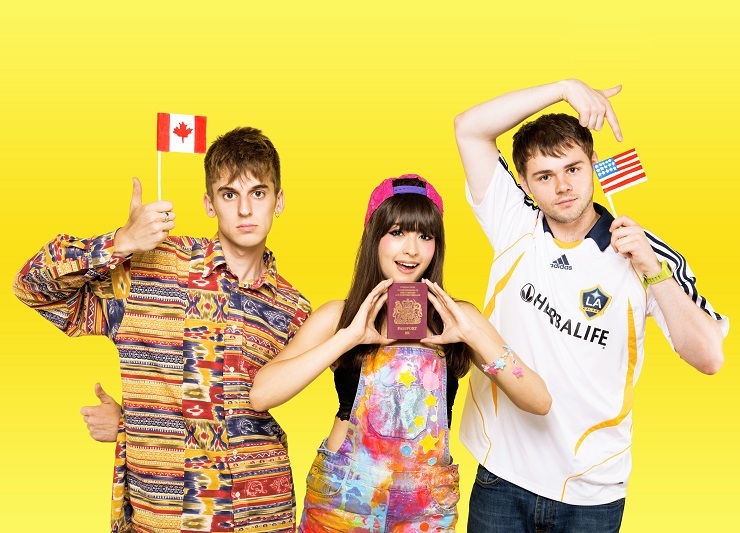 Honestly, I can never resist London trio Kero Kero Bonito’s bubbly whimsical brand of colorful electropop. Their new song is aptly entitled Trampoline, except the way our imaginations bounce on this sonic contraption is far more graceful than I’d ever look squirming awkwardly on a real life trampoline. Trampoline is KKB’s latest taster from forthcoming album Bonito Generation. It’s a carefree skipping, airy fun emulsion made up of PC Music foam, chiptune playfulness, and J-pop accents. Kero Kero Bonito has a distinct ability to fill us with optimism and joy, no matter how dark of a day we might be having. We hop sky high on this Trampoline straight into the arms of fluffy smiling clouds.